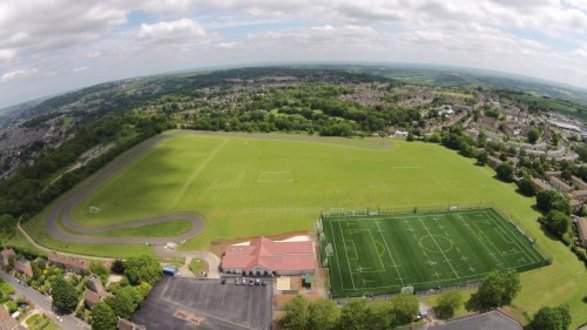 Odd Down Sports Ground has a large area of grass pitches that can be used for a multitude of sporting activities. From Football, Cricket to Rugby. Football - We have recently invested in our Grass Football Pitches to bring them in line with FA Standards and have since hosted several FA Youth Events. 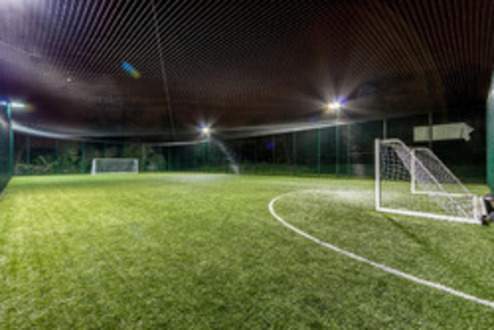 With such a large area of pitches it allows us to have the freedom and flexibility to rotate our pitches whenever there is a need to rest certain areas of the playing fields or to cater for specific requirements. Rugby - There is 1 Grass Rugby Pitch with fixed posts. Pitches can be hired on a casual basis or on a regular block booking basis which means you can secure the pitch all season long. Cricket - Odd Down Sports Ground boasts, in total, 3 cricket pitches. There is one cricket square which also has an artificial wicket as well as 2 other artificial wickets at opposing ends of the fields. These pitches are part of a huge undertaking by the council aiming to bring them up to standard with the best pitches in the county. The 1.5km Closed Road Cycling Circuit at Odd Down Playing Fields opened in April 2013 enabling enthusiasts to learn, train and enjoy cycling without having to negotiate Bath’s busy roads. The circuit was built by Bath and North East Somerset Council thanks to a £600,000 grant from British Cycling, and is one of only 17 specific closed road cycling circuits in England. Odd Down Cycling Circuit has been specifically designed to introduce and develop opportunities for cyclists to train at all levels and whilst access to the cycle circuit can be through supervised sessions and club sessions, there is also the possibility to turn up and ride depending on availability. Turn up and just cycle for £1. Bike hire is available for a small fee. Please check on our timetable or call 01225 300420 if you would like to know when the Cycle Circuit is free. The room can seat 40 at tables, and 80 in theatre style. This increases when linking with the café area. There is an interactive whiteboard with wifi facility for teaching and presentations. The café is open to members of the public and users of the site. 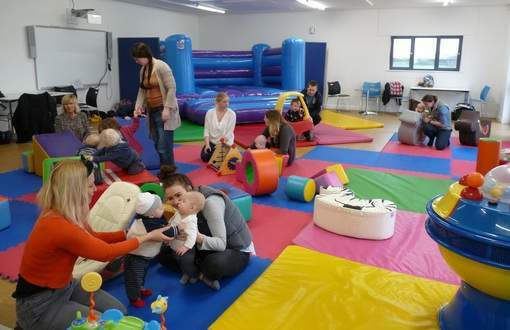 Come and join us in our Toddler Sessions, held in the Community Room on Tuesdays from 11:00 am to 1:00 pm and Fridays from 10:30 am to 12:30 pm. Children can play with our softplay equipment, including a Bouncy Castle, a worm, a rolling station, animals and more! Suitable for children from 0 to 5 years old. No booking needed, just register at reception for £2 per child.